These Metal Connectors allow you to add Fully Assembled Wooden Wine Racks together. You can now extend your rack horizontially and vertically adding more bottle spaces between the racks with these connectors. 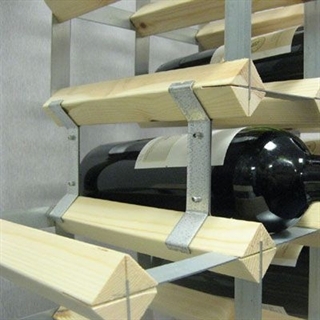 These connectors allow two racks to be separated by 95mm (3 3/4") the equivalent of a normal sized bottle hole. Genius little inventions.... Work perfectly.. 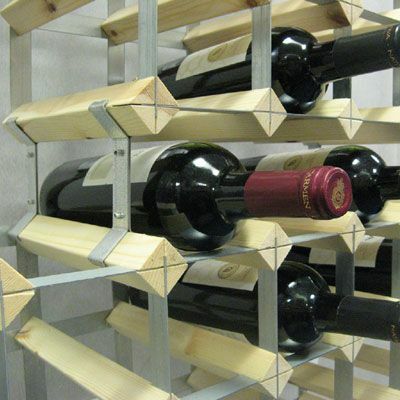 They work, needed to squeeze the ends slightly to obtain a tight fit and then secure the top wine rack to the wall with a couple of screws, just takes a few minutes.